Grace McGouldrick loved playing field hockey. And she got a thrill out of running track. But when it came to softball, well, that was different. “Ever since I played T-ball, I’ve had a love for the sport,” she said. “It’s the sport I was driven to do well in, the sport I had a knack for, and the sport I always enjoyed, not just in the season but out of season, too. And she became quite good at it. 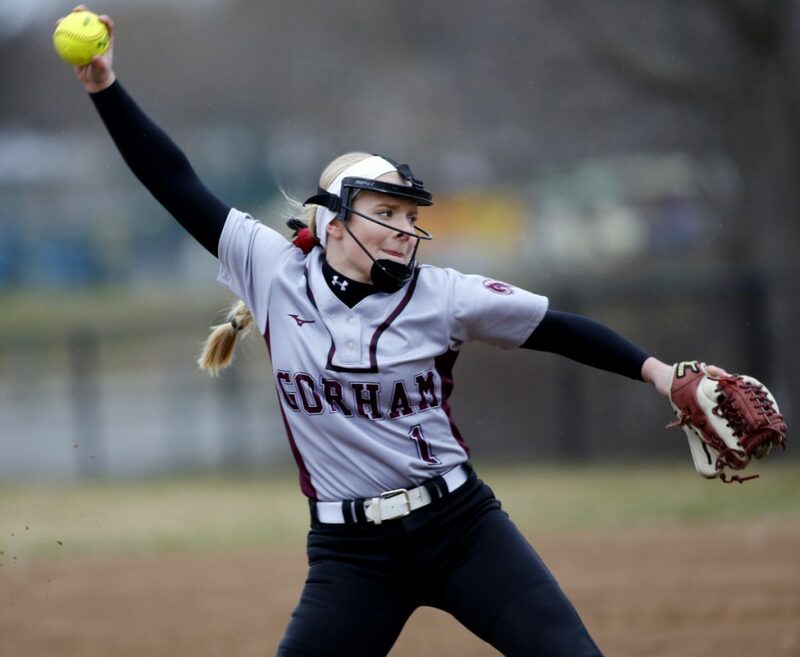 With her speed, athleticism and versatility, McGouldrick became one of the top two-way players in the state for Gorham, leading the Rams to three consecutive Class A South quarterfinal appearances. This year, as a senior, she batted an astounding .688 with five home runs, seven triples, eight doubles, 30 runs, 20 RBI and 12 stolen bases. As a pitcher she was 10-5 with a 1.75 ERA and 148 strikeouts in 92 innings. Her efforts earned her honors as the Maine Sunday Telegram’s Softball Player of the Year. McGouldrick, who played shortstop when not pitching, will play softball at the University of Maine. She won’t pitch, she said, but is looking forward to helping in any way she can. Gorham Coach Renee Whipkey said McGouldrick’s versatility was what set her apart. Whipkey said McGouldrick’s leadership this year was pivotal. “She had a willingness to work with her teammates,” Whipkey said. “She would stay after practice and do whatever was needed to do with anyone else in order to help them. McGouldrick, who was also named the Gatorade Maine player of the year, said she put a lot of preparation into her senior season during the winter, with much of it focused on hitting. Her batting average increased each of the last three years, from .466 as a sophomore to .609 as a junior and .688 this year. “I wanted to focus on my softball skills in the winter,” she said. She said she finished her high school career with her best season.